Social Media Recruiting, also called Social Recruiting, is the art of using social media to find and attract target candidates, and to promote your company’s employer value and job opportunities to them. As a recruiter, when you share your company’s open jobs on LinkedIn, you’re practicing Social Media Recruiting. 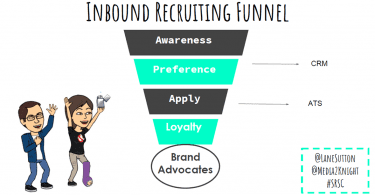 But hang on – there’s a lot more to Social Recruiting than sharing jobs on LinkedIn! And it’s never been more important to learn Social Recruiting skills than today. 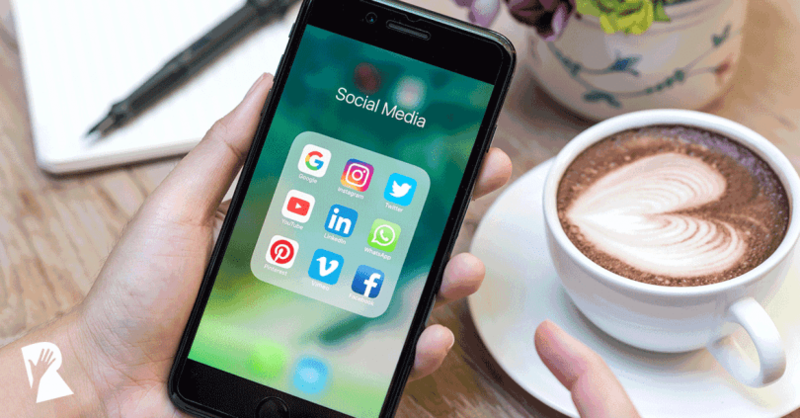 According to a recruiting study by CareerArc and Future Workplace, social media is now the most popular recruiting platform among employers and job seekers. 91% of employers believe social media will become a more significant source of hire in the next 5 years. Employers believe that social media marketing will be the most in-demand HR skill by 2020. If you feel like a social media newbie, don’t worry. We’ll walk you through 6 steps to getting started with Social Media Recruiting. In no time, you’ll be sharing and tagging like a pro, and reaching the right candidates who’ll make great hires. Did you know that LinkedIn has 5% of the followers that Facebook has? There’s useful statistics by the Pew Research Center on social media usage among U.S. adults. In its recent update, Pew reported that on a total population basis (accounting for Americans who do not use the Internet), 68% of all U.S. adults are Facebook users, while 28% use Instagram, 26% use Pinterest, 25% use LinkedIn and 21% use Twitter. So, think about your target candidate profiles, and which social media channels they’re likely to use, and then we suggest you pick the top two to start. When candidates search for you on social media, they want to see what it’s like to work at your company. Facebook, Instagram and YouTube are perfect platforms for showcasing your work culture with photos and videos of your employees. Here’s a great resource from Buffer on five steps to create your Facebook Business page. But just as candidates research your company before applying for a job, they’re also researching you as a recruiter as well as your hiring managers and potential teammates. Invite your employees to update their profiles listing their current work experience at your company, so that you and your coworkers can be found when candidates search. Many people choose to keep their Facebook private, but you can encourage employees to open up a bit by creating a photo album for work pictures that’s made public. Facebook walks you through how to edit privacy settings for Facebook photo albums. You don’t have to be a social media guru to practice Social Recruiting. 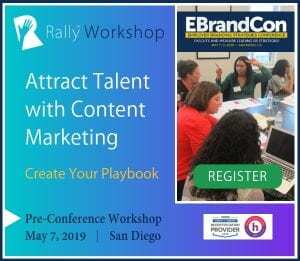 You just need a little confidence to start sharing content, and then use a few tricks to get your content seen and shared by your target candidates. Sharing content on a regular basis is key! Millennials will wonder if anyone is home if they see an empty Instagram feed. So, we suggest starting out with one post a week, then a couple times a week and gradually becoming more active as you get more comfortable. Remember that every social share doesn’t need to be your own original creation. A quick way to keep your social channels active is to share other people’s content. When creating and curating relevant social content, think about what you can share that will educate, entertain and inform your audience. In addition to promoting jobs, other content ideas might be interview tips, culture photos and data about your industry. Then, to help your posts be seen and shared, an important strategy is to include relevant tags. Tags can be people, locations and keywords or phrases (called hashtags) like #companyculture, #motivationmonday and #lovemyjob. These are all possible keywords that someone may look for when searching for a job. Once you’ve got a steady beat going with your social posts, the next step is to look for a reaction from your followers. When people like and comment on your posts, it means your followers are engaged, and that tells you people are listening. Twitter has a feature that lets you create a poll. Polls are perfect for getting your followers engaged. Another tip is to share a humorous photo. They’re sure to generate a lot of likes and even shares to your followers’ networks. Ultimately, Social Media Recruiting is a strategy to attract your target candidates, stay top of mind and drive more qualified applicants. 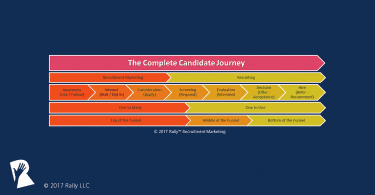 By starting out as followers, candidates that come from Social Recruiting are already aware of you as a potential employer and know your employer brand story. They have liked, shared and engaged with your social content, and have determined they’d fit into your work culture. Now, when the timing is right, you can fill open jobs faster with the right hires from your social network.